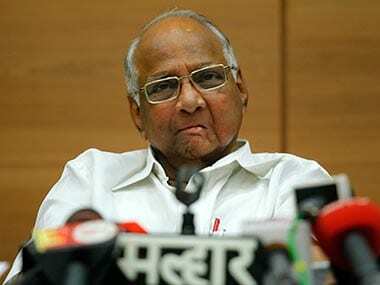 Now that Rahul is down, what from Sharad Pawar? Recall that 28 January quote: "If he (Rahul Gandhi) doesn't succeed, he has to work very hard for future. Public at large will pass the buck to him if he doesn't deliver," by Sharad Pawar, Union Agriculture Minister and Nationalist Congress Party (NCP) chief? That had evoked a sharp response from, who else, Digvijaya Singh, Congress' dial-a controversial-quote man, who said it was an "objectionable statement" from an "experienced politician", and that election results would surprise Pawar. What Singh missed was that Pawar is no palace flunky but a person who started a political party against the head of that royalty. That he does business with that dynastic head is his political convenience. Now, Pawar, all for young blood in politics, modern views, and bold strategists, must be smiling; and Digvijaya Singh, of course, had to offer his resignation to Rahul Gandhi’s mother for not adequately trundling the pram around to the winning post. After that blame-if-lose comment on national TV, Pawar said on a Marathi news channel that from what he had seen on TV and heard from politicians, there were not enough local leaders accompanying Rahul Gandhi on his campaign. Translated, it meant, local organisation was obviously weak. A point, which Rita Bahuguna Joshi, the Uttar Pradesh Congress chief, conceded once it became clear that the Congress was relegated to the fourth place. Of course, the campaign was brilliant but the party machinery did not come up to scratch. Joshi could not be as explicit as Pawar; she has to be in thrall of the Janpath royalty. 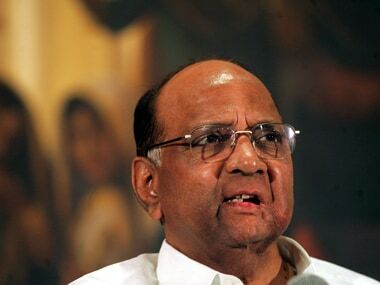 Having said that, how does this election impact Sharad Pawar vis-à-vis his partner since 1999, the Congress? There are two theatres where the loss scored by Congress would impinge: Maharashtra, where NCP is running a government with the failing party, and the states where non-Congress regional satraps — Mamata Banerjee, Nitish Kumar, Navin Patnaik, Chandrababu Naidu, Jayalalithaa, and now, Mulayam Singh Yadav — hold the key. He is, given his contacts and credibility across party lines, perhaps next best bet to Arun Nehru, who is talking of a fourth front to deal with the Congress in the 2014 Lok Sabha elections. If they are sharpening their knives for that year, then Pawar can offer the best grindstone. And Pawar can work his way quietly, unobserved, using less of political and more of businessmen as back channels. And spring a surprise. That is Pawar's wont. If he can, and thinks he should, he would move silently for the kill. Though, soon after Rajiv Gandhi's assassination, several former Congress chief ministers from the South had asked him to make a move as they feared continuation of a dynasty, he missed the opportunity. He had thought he was not up to it then. Now, the Congress could not be in worse state. The window of opportunity now would be, rest assured, fully explored, evaluated, and even discussed without a hint of that happening. 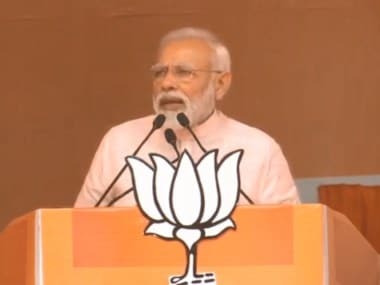 Especially because the river is full of fish already, with the states finding that they are not being taken seriously by the Congress even if some of these states are partners in the UPA-II. They have a list of grievances as long as one’s arm. However, anything by way of a serious move from this Maratha satrap would have to wait for an evaluation of the ground scene in Maharashtra. Pawar would be toying with the question, perhaps even when watching a cricket match, in whose administration he has lot of interest: can the NCP go it alone in the home state? 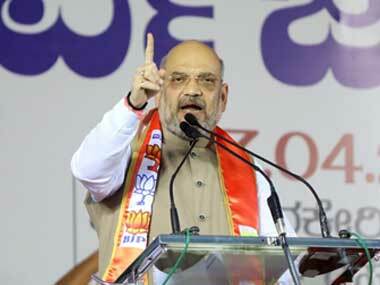 The recent civic elections have shown that the Congress was not much of a vibrant political party. Despite its tie-up with NCP, it failed miserably in the country's key metro: Mumbai. In the simultaneous zilla parishad and panchayat samiti polls, the Congress was placed second to NCP in all districts, accounting for its decline in the crucial years before the 2014 polls, first the Lok Sabha, and six months later, Assembly. Even if Pawar were to be hesitant because of the formal equations with the grand old party, his younger lot of leaders in Maharashtra are not disposed to be playing second fiddle to it. They are more brazen, if less crafty, and would not mind a once-and-for-all fight against each other in the state. If their enthusiasm coincided with Pawar's calculation that Congress can be replaced with the help of other regional satraps, then it could be fireworks. But that would be his decision alone. And his assessment of the viability of each of the satraps bringing enough to the table. He would not like to be caught into a situation where he loses all: the slice at the Centre and the control, even if partial, of Maharashtra. 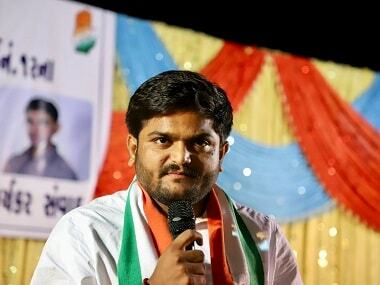 1Now that Rahul is down, what from Sharad Pawar?